Research from 2016 Liberty Mutual Workplace Safety Index noted that one of the leading causes to workplace injury was due to overexertion. This involved injuries such as pushing, pulling, lifting, carrying, holding and throwing items. Overexertion injuries have also been shown to be very costly to businesses, approximately costing companies $15.08 billion in 2013. This injury affects one’s muscles, ligaments and tendons which can result in a musculoskeletal disorder. These types of injuries can occur in any type of workplace from factories, construction or hospitals. What is even more interesting is the fact that most overexertion injuries are avoidable. Continue reading below for a few tips to help reduce overexertion injuries in the workplace. One of the easiest ways to avoid a workplace injury is to ask for help when lifting an object that is large and or heavy. Employees should seek the assistance of a co-worker. If no one is available then an assisted lifting device and/or equipment should be used. 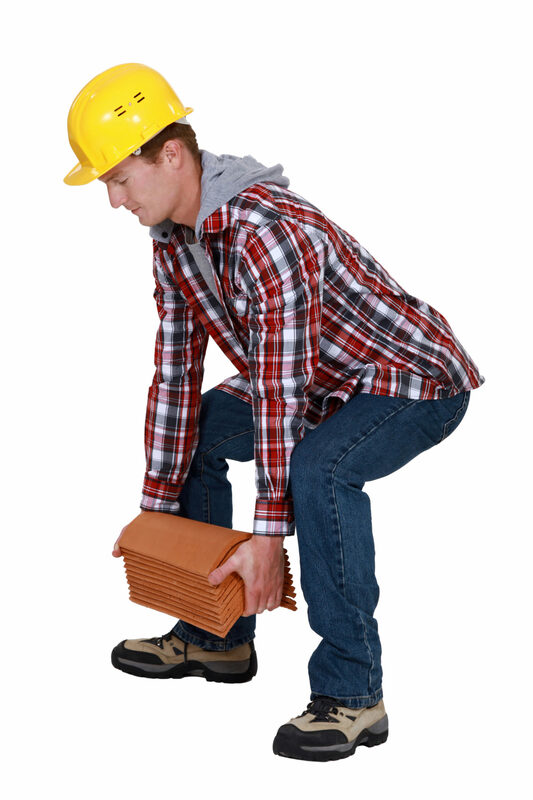 Employees should always use proper lifting strategies that have been shown by their workplace injury prevention programs. Another important aspect of an injury prevention program is material handling training. The training should incorporate sufficient evidence on educating employees about the nature of the injury, specific techniques of the job and hands-on session that are comprehensive to reinforce the main concepts. Proper warm-ups and stretching breaks have the ability to affect an employee’s overall work performance but it can also help in injury prevention by preparing the muscles and loosening the joints. This is very similar to how an athlete would warm-up before a practice or game; it is the same concept with employees performing physically demanding work. To help in reducing workplace injuries leadership teams should implement a training program for new equipment. Employees should be sure to ask questions regarding safety and proper use of the equipment. A multitude of work places have ergonomically designed equipment to aid in the reduction of the physical stress of the job placed on the worker. Every year businesses lose money due to workplace injury. Emery Physical Therapy has therapists that are able to design programs for injury prevention. To help maintain a safe work environment please contact Emery Physical Therapy for more information.